The Don't Tread On Me T-Shirt is a two sided print in yellow. 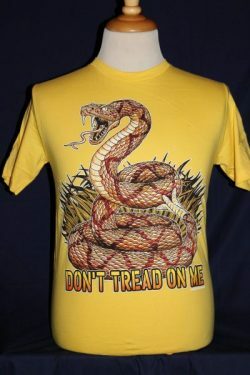 Front Design: Coiled snake and text. Back Design: 7.62 logo on upper back.